Art is dangerous. It is one of the attractions: when it ceases to be dangerous you don’t want it. 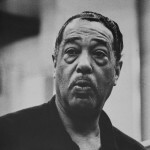 By the time of his passing, he was considered amongst the world’s greatest composers and musicians. The French government honored him with their highest award, the Legion of Honor, while the government of the United States bestowed upon him the highest civil honor, the Presidential Medal of Freedom. 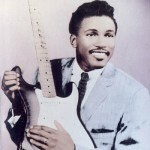 Otis Rush (born April 29, 1935 in Philadelphia, Mississippi) is a blues musician, singer and guitarist. His distinctive guitar style features a slow burning sound and long bent notes. 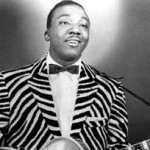 With similar qualities to Magic Sam and Buddy Guy, his sound became known as West Side Chicago blues and became an influence on many musicians including Michael Bloomfield and Eric Clapton. 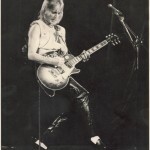 Michael “Mick” Ronson (26 May 1946 – 29 April 1993) was an English guitarist, songwriter, multi-instrumentalist, arranger and producer. He is best known for his work with David Bowie, as one of The Spiders from Mars. Ronson was a busy session musician who recorded with artists as diverse as Bowie and Morrissey, as well as engagements as a sideman in touring bands with performers such as Van Morrison. Thomasina Winifred Montgomery, known as Tammi Terrell (April 29, 1945 – March 16, 1970) was an American recording artist and songwriter most notable for her association with Motown Records and her duets with Marvin Gaye. As a teenager she recorded for theScepter–Wand, Try Me and Checker record labels. 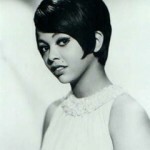 She signed with Motown in April 1965 and enjoyed modest success as a solo singer. Once she was paired with Gaye in 1967, her stardom grew, but on October 14 of that year she collapsed on stage into Gaye’s arms during a performance. She was soon thereafter diagnosed with a malignant brain tumor which eventually led to her death at age 24.